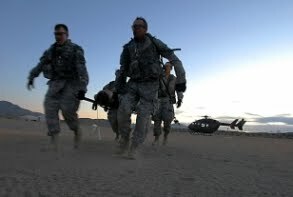 Operation PATRIOT Needs Your Help! Summer is fast approaching, and with it comes Operation PATRIOT. Yes, that's right, Operation PATRIOT is still going strong, and once again the exercise planners are looking to Civil Air Patrol to help them out. But this year they're looking for a lot more assistance from us than we've given them before (and for a VERY good reason). What is Operation PATRIOT, you ask? This is a major exercise designed to test the ability of National Guard (both Army and Air National Guard) units to respond to domestic disaster situations. Basically speaking, PATRIOT tests their ability to help out their own states and communities in the case of disasters or other situations where local police, fire and EMS agencies are overtaxed and unable to respond to all of the requests for assistance. This year, Operation PATRIOT is simulating a major Earthquake striking the Midwest (specifically, a "New Madrid event). Treatment and transport of disaster victims will play a major role in this exercise, and that's where we (CAP) come in. The PATRIOT exercise planners are looking for "role-players", individuals who can play the part of simulated victims. Each of these simulated victims will be made up to look like they've received a variety wounds (using moulage - literally makeup and prosthetic appliances to, well, make the simulated victims look as realistically wounded as possible) that military medics will have to triage and treat in the field, and then transport to an evacuation point. But that's not the end of it! From there, our simulated victims will be loaded into C-130s and C-17s and transported to one of four cities across the country to be checked into an evacuation hospital, before getting loaded back on the plane and flown back to Wisconsin. And that's specifically why they need us (CAP)! Yes, not only will you get to play the part of a wounded victim for a medic to treat, but they'll fly you on a military aircraft (and, of course, give you the chance to tour the aircraft and visit the cockpit in flight, and talk to the flight crew) in the process. Obviously, this is a win-win for everyone concerned. We're giving our military medics the chance to test out their skills in a realistic situation (and the real win for the National Guard is the ability to fly us to an evacuation hospital and track our simulated patients throughout the process--this is something that has NEVER been done before from start to finish!). And in the process, they're giving us something new, interesting and fun to do. 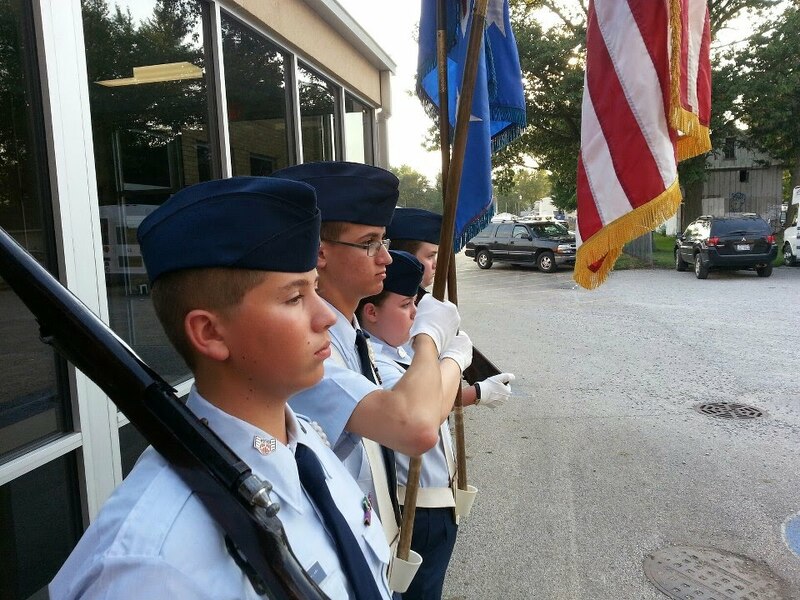 THIS WILL BE A FIRST FOR CIVIL AIR PATROL AND THE NATIONAL GUARD. And here's your opportunity to get involved and take part in this fantastic opportunity. WHAT DO WE NEED? We need cadets and seniors. They must be members and have completed either Level I (Seniors) or Phase I (Cadets), and of course be Safety Current for the month of July. We are looking for a total of about 46 cadets and seniors who want to take advantage of this opportunity and help (and, again, do something FUN). Uniform: Civilian Clothes. Bring clothes that you won't mind getting stained/ripped in the moulage/treatment process. We will have old BDUs available for our members to wear, but be sure to bring something "old" as a backup in case we don't have your size! Transportation to and from Volk Field will be your responsibility (squadrons are encouraged to work with each other to transport their members in corporate vehicles). Once there, you will be billeted and fed by the National Guard. Application Process: Fill out one of the attached CAPF 31s. We DO NOT need a picture, but we do need full membership and medical information filled out, as well as both parental (for cadets only) and Unit Commander's approval (for all members) signatures. Applications will be accepted and processed on a first-come, first serve priority. We will build a list of alternates, who will be accepted should one or more members back out of this activity. Note: Before the activity, we will send out a complete packing list, guidelines for the activity, and a release form that will need to be signed by each attendee (and, for cadets, their parents as well). Yes, that's a short deadline, but we need to provide the AIr Force a complete list of attendees so that we can get approval for them to fly on USAF aircraft. Once again, this is a great opportunity. Commanders and staff, DON'T LET YOUR MEMBERS MISS OUT ON THIS CHANCE TO GET INVOLVED, TO DO SOMETHING WORTHWHILE AND TO HAVE A LOT OF FUN IN THE PROCESS! Please see that this message gets the widest dissemination possible.